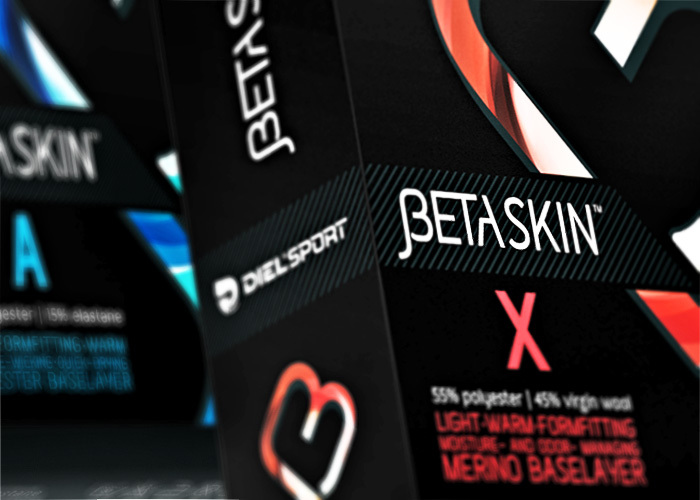 The original copy on the box says: "BETASKIN™ X is a baselayer designed for all activity levels in fair to cold weather conditions. It is the perfect solution for keeping warm, dry, and comfortable in wider temperature range including colder conditions. Wool fibers absorb moisture, carry it away from the body, and gradually release it through evaporation. Very thin and light, stain- and wrinkle-resistant and easy to maintain. In order to be efficient and comfortable BETASKIN™ is extremely soft and flexible and fits the body contours perfectly for full freedom of movement. 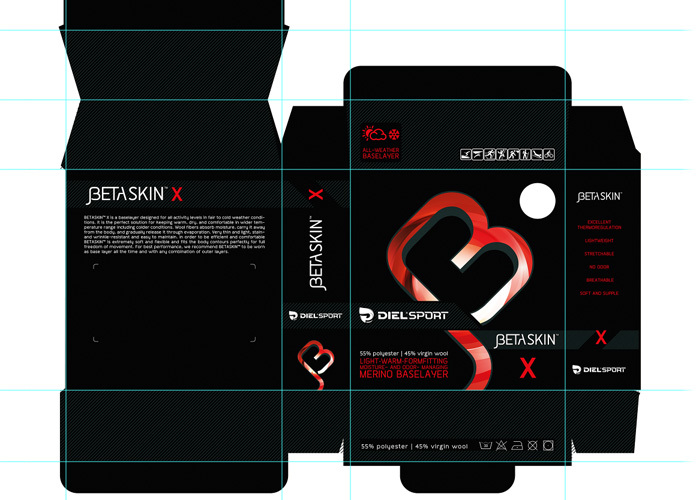 For best performance, we recommend BETASKIN™ to be worn as base layer all the time and with any combination of outer layers."